What’s the difference between a pouch and a bag? 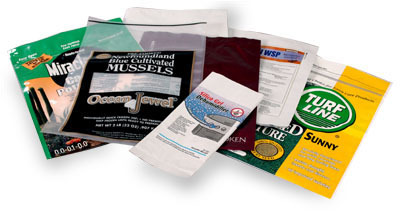 Pouches are generally used to provide a higher level of product protection. They can be crafted as a barrier to moisture, vapor, and oxygen transmission. Pouches can incorporate vacuum and vapor barriers, as well as zipper closures, and can be die cut, filled and sealed all on a single unit of equipment. In addition, stand-up pouch configurations are available, in a variety of laminated materials. When your product needs specific protection, our pouch packaging will ensure it receives the best. If your product is vulnerable to liquids, a custom designed pouch will keep your product completely dry. A pouch can also protect your product from oxidation or chemical harm. Whether your product is a sensitive food or beverage, an industrial item, or military innovation, we have the right materials and crafting experience to design and mass produce the pouches your products need. Why Choose Maco PKG for Custom Pouch Packaging? With 50 years of experience manufacturing flexible packaging, you benefit from our expertise in designing cost effective solutions for your pouch requirements. We work with you to tailor-make a product that meets your specific needs, using commercial or military spec laminations and we ensure you receive the highest quality product at the most economical price. Browse some of the pouch options Maco has to offer below.